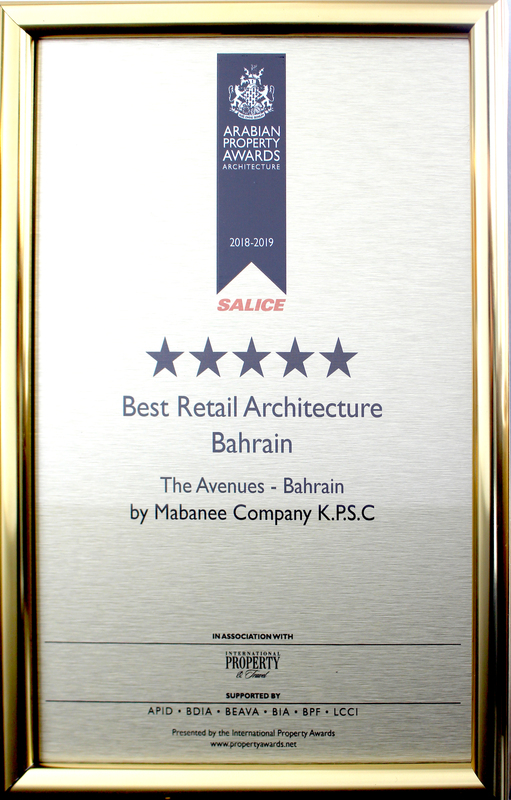 The Avenues – Bahrain was awarded the best retail architecture award in the Arab world, where it competed with a number of real-estate companies and projects from across the Arab world for the Arabian and African Property Awards 2018-2019. The Arabian and African Property Award is one of the most prominent real-estate competitions in the region, through which many real-estate projects compete within terms and conditions related to the various categories of the award. The final results of the award were announced at a ceremony held recently in Waldorf Astoria Dubai Palm Jumeirah, covering multiple categories including developers, architects, agents and interior designers. The event aims to motivate and honor distinguished contributors in the real-estate sector from all around the world. The awards are given following an evaluation of the participating projects by a panel of more than 70 experts, which takes into consideration design, quality, services, innovation, creativity and commitment to sustainable development. The international competition was established in 1995 and the first Arabian and African Property Awards ceremony was held in 2006 in the United Arab Emirates. Sorouh Company, an associate of Mabanee – the owner of The Avenues – Kuwait, expressed its pride of this award which is the first for The Avenues – Bahrain. 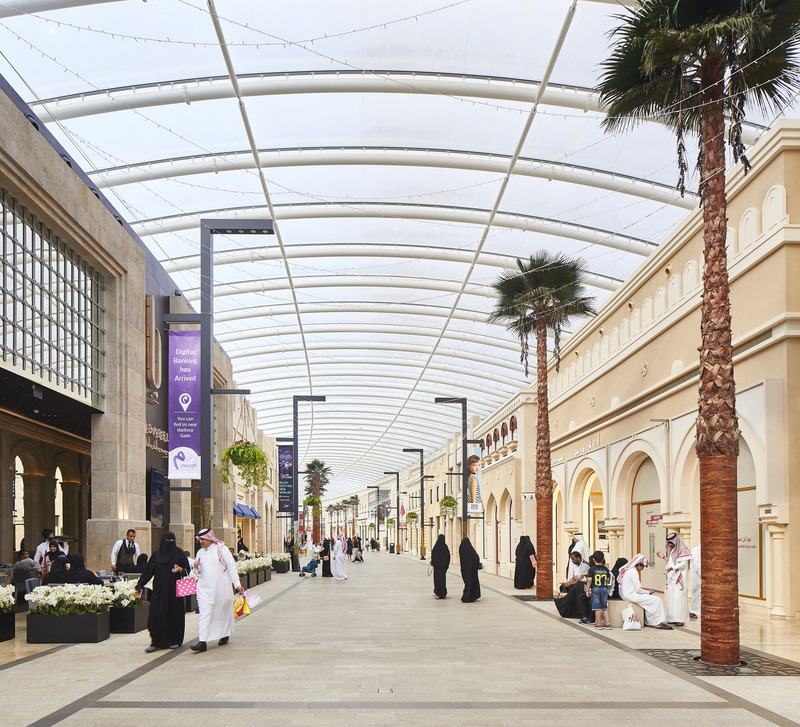 It is worth noting that The Avenues – Bahrain was launched last year and has become one of the most prominent shopping and touristic destinations in the country. The Company stressed that The Avenues – Bahrain is the first commercial and leisure mall of its kind in the Kingdom of Bahrain, with a unique water front of 1.5 km. The project is strategically located at the heart of the capital city, Manama, within the Bahrain Bay project overlooking King Faisal road. 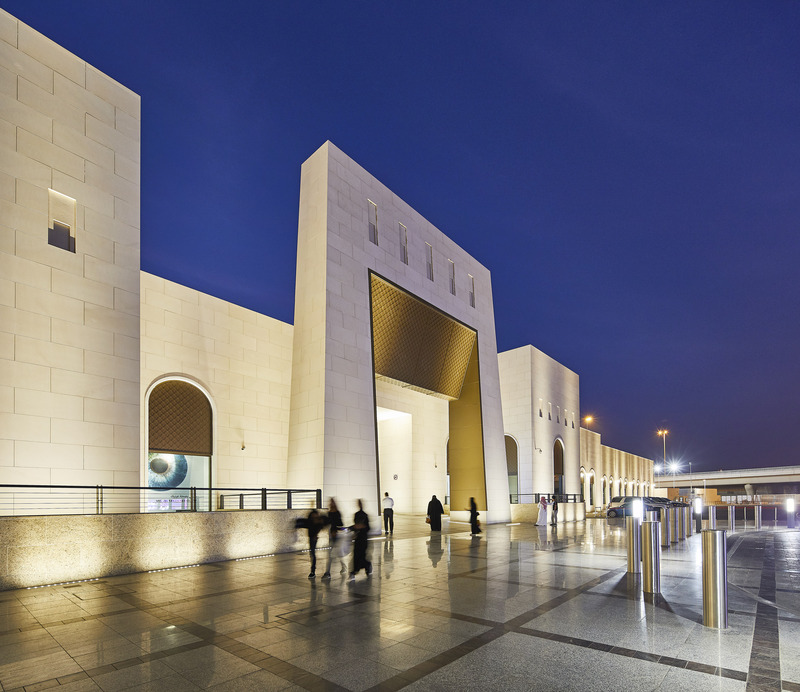 The project is designed with the same style and concept as the Avenues – Kuwait. It is characterized by a fine architectural design that makes the visitors feel the outside atmosphere under a covered roof which allows the sun light to flow inside eliminating the heat. It is also designed in an innovative leisure style that gives the visitors access to a captivating sea front. 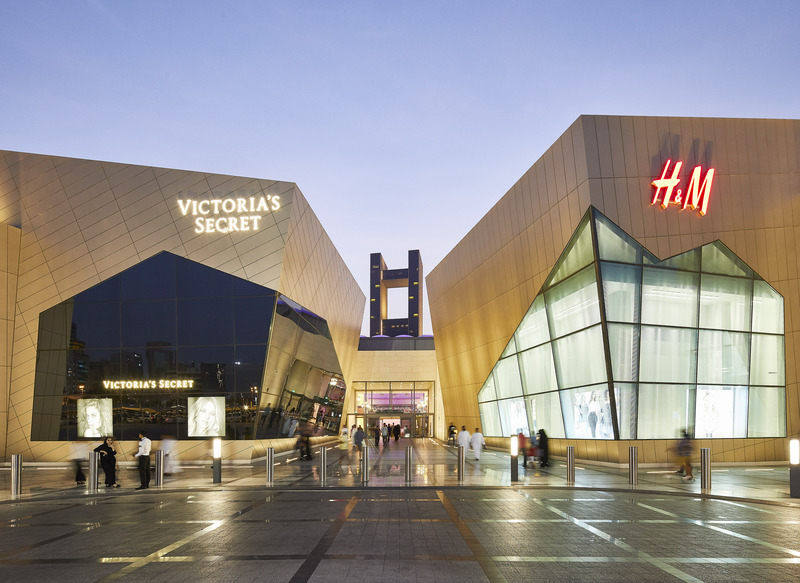 The project currently includes Grand Avenue and The Harbour districts, which includes 130 stores for various international and local brands, including retail brands that are being introduced to Bahrain for the first time, as well as restaurants and cafes with a view on the Gulf of Bahrain. The project also includes a large family entertainment area that encompasses a family entertainment area, ten movie theatres, public parks and jogging tracks. The company is currently finalizing the designs for Phase II of the project, which will include expansion plans to complete the western part, in addition to Hilton Garden Inn, with 210 hotel rooms, which will be directly connected to the mall. This will make The Avenues – Bahrain, an ultimate destination for citizens, tourists and businessmen from the Gulf region and other countries. It is worth noting that Mabanee received the Best Leisure Development Award from the Arab chapter of International Property Awards for phase IV of The Avenues. It has also received the Best Retail Development award in 2011, as well as Platinum and Gold Awards by Arab Chapter of International Property Awards for the same year, along with various other awards locally, regionally and internationally.